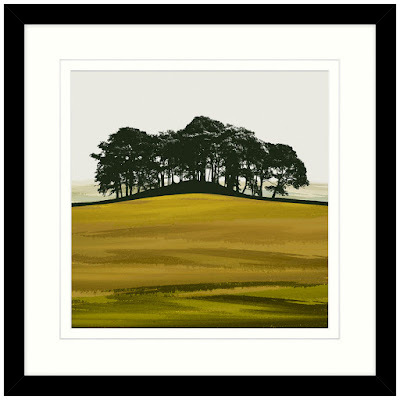 Bold, contemporary prints which capture the essence of the landscape , Jacky Al-Samarraie uses uncomplicated images, sourced from the British countryside, and adds graphic bright blocks of colour to create an eye-catching design. Jacky developed this style during her degree, Al-Samarraie didn't start life as an artist, she originally pursued a career in Social Services. It wasn't until her children grew up that she went back to develop her creative skills; receiving a first honours degree in Graphic Media Communication from Bradford College of Art Design & Textiles. 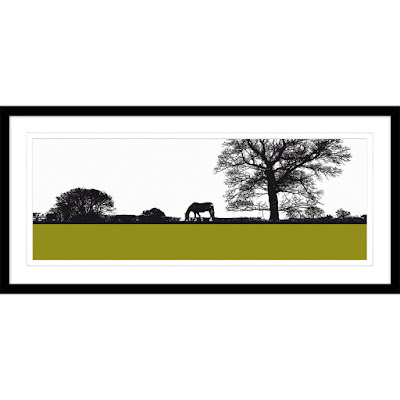 This serene landscape scene of a grazing horse uses bold and graphic block colours for a modern and contemporary twist. 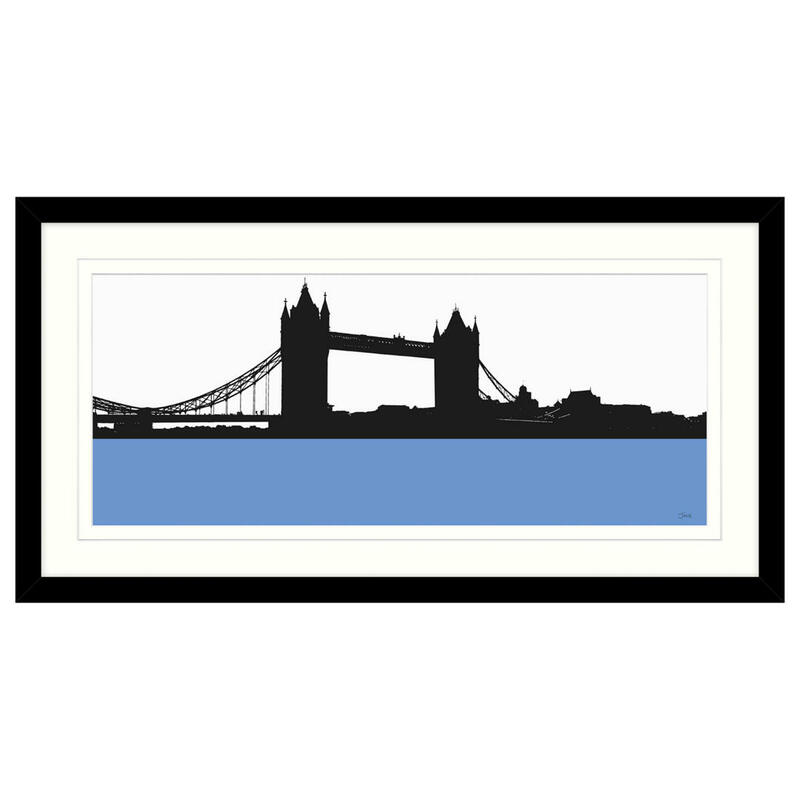 Comes in an MDF wrapped box frame with decorative black wood grain finish. This city landscape scene of Tower Bridge uses bold and graphic block colours for a modern and contemporary twist. Comes in an MDF wrapped box frame with decorative black wood grain finish. 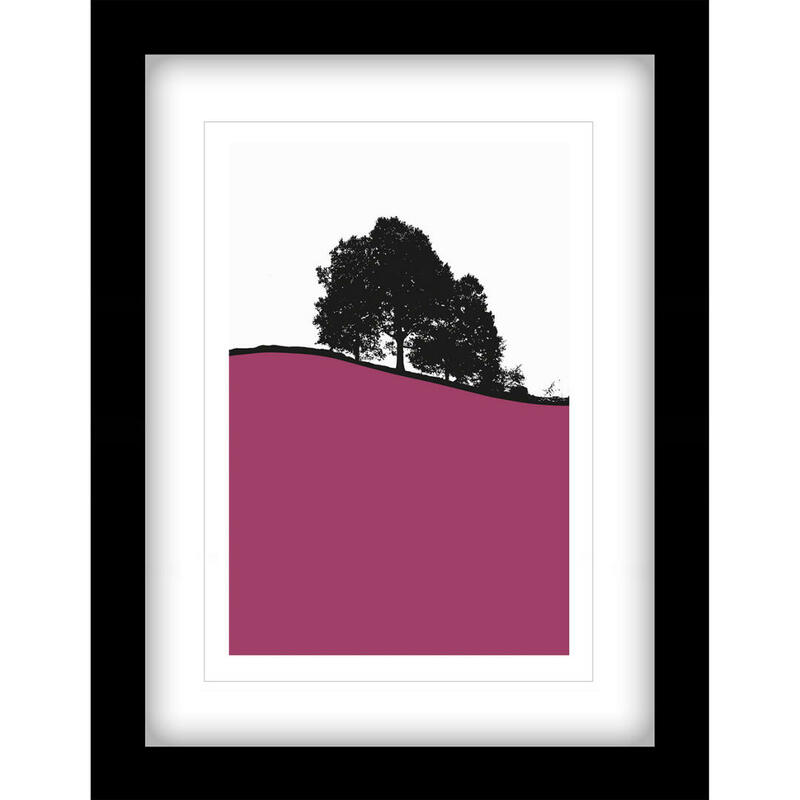 The might of these tall trees is highlighted by the simplicity of this technique. 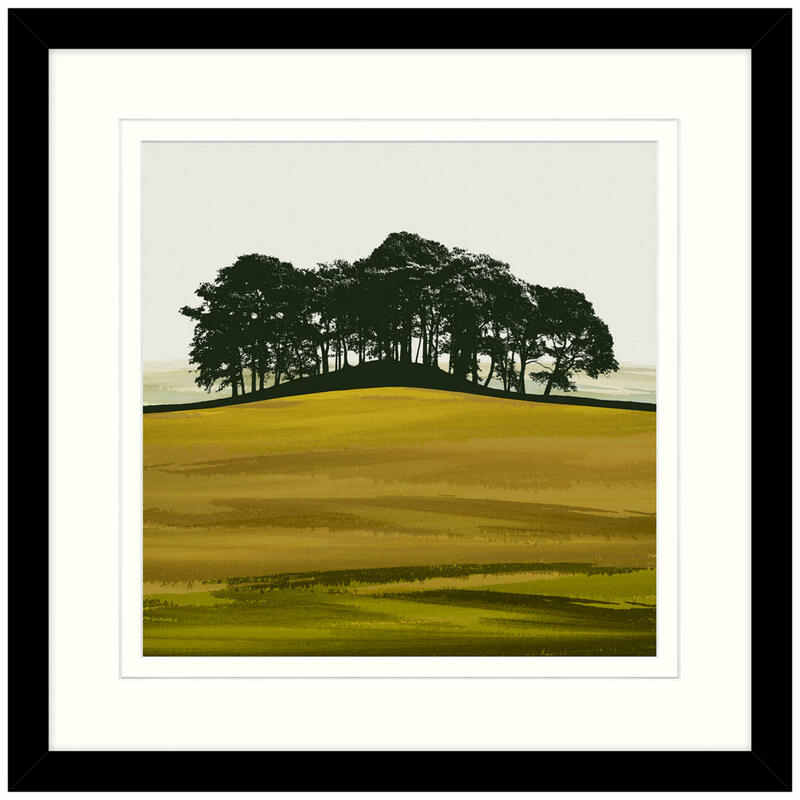 A bold black cut out is contrasted with the bright white background, drama is added with the a green block of colour. The print is presented in a beautiful scored mount, emphasising the print, and is in a decorative MDF wrapped frame that was a contemporary black grained wood finish. 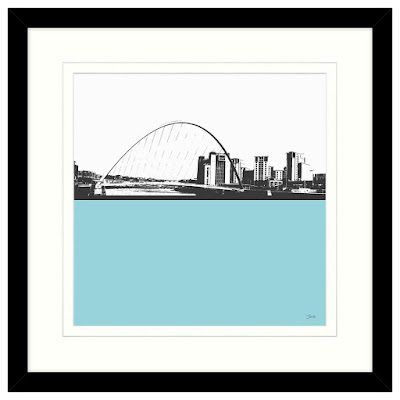 This city landscape scene of Millennium Bridge uses bold and graphic block colours for a modern and contemporary twist. Comes in an MDF wrapped box frame with decorative black wood grain finish. 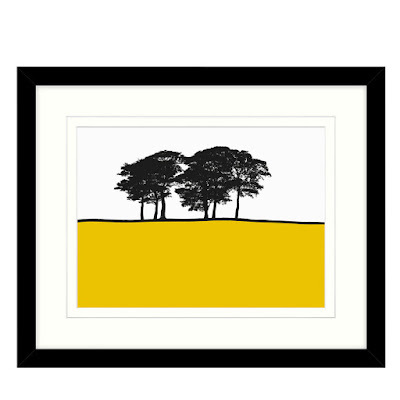 With its simple composition and bold block of yellow, this digital print on canvas is perfect for bringing a sense of rural charm and contemporary colour to a room. This artwork by Jacky Al-Samarraie is presented in a black wooden frame that perfectly complements the picture within. 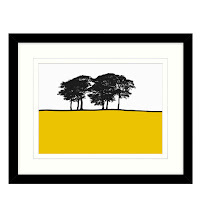 A tall tree stands dominate in the English countryside. The bold black cut out is contrasted with the bright white background, drama is added with a magenta pink block of colour. This long photo frame is the perfect size for hanging over a mantel or above a sofa. The print is presented in a beautiful scored mount, emphasising the print, and is in a decorative MDF wrapped frame that was a contemporary black grained wood finish.